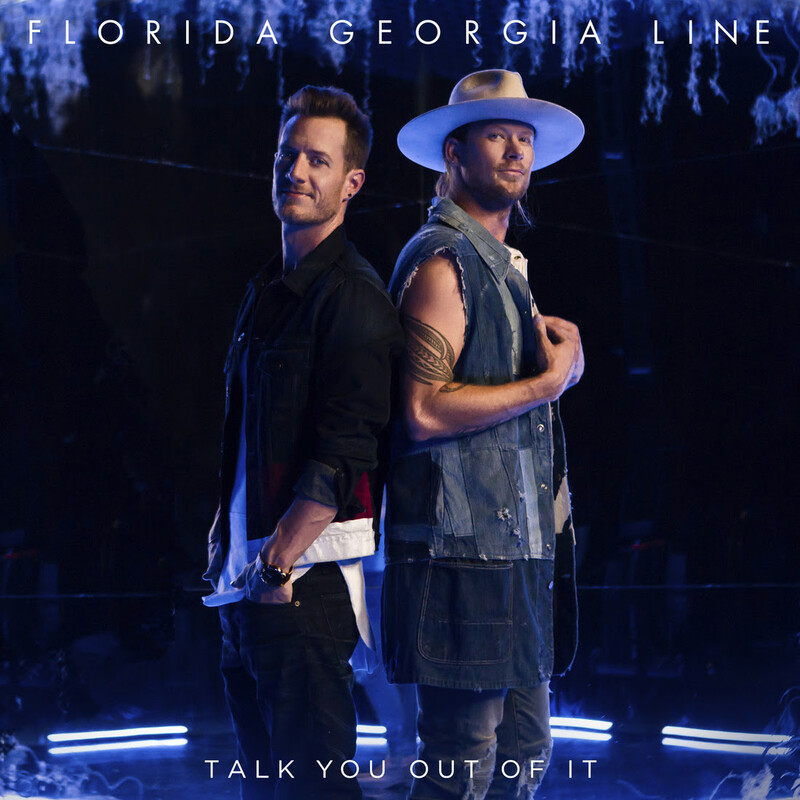 NASHVILLE, TENN. (October 22, 2018) — FLORIDA GEORGIA LINE is coming in hot with a sensual new single, “Talk You Out of It,” available now across all major online retailers and is set to impact Country radio on November 5. The latest teaser of their much-anticipated fourth studio album on BMLG Records, this steamy knockout seduces with flirtatious come-on lyrics that turn up the heat over a smooth banjo riff mixed with sultry R&B elements. The global entertainers recorded the HARDY, Hunter Phelps, Jameson Rogers and Alysa Vanderheym-penned track produced Joey Moi. Click here to watch the red-hot lyric video. FGL continues to burn up the charts and just last week topped both Billboard and Country Aircheck/Mediabase Country Airplay with “Simple” (16th #1 overall as artists). The back-to-basics lead single has clearly struck a chord, recently being certified PLATINUM while also claiming another RIAA landmark as their 2013 game-changer “This Is How We Roll” is now 5X PLATINUM. Their 4X PLATINUM-certified “Meant to Be” collaboration with BEBE REXHA has reigned 47 weeks straight atop the Billboard Hot Country Songs chart, bringing FGL to 103 cumulative weeks throughout their career. The Warner Bros. Records and BMLG Records history-maker has also surpassed 1 billion total streams globally. Nominated for Best Song with “Meant to Be” at the 2018 MTV Europe Music Awards, fan-voting is currently open leading into the live broadcast from Bilbao, Spain, on November 4 at 7 p.m. ET. The superstar duo will also vie for Vocal Duo of the Year plus Single of the Year and Musical Event of the Year with “Meant to Be” at The 52nd Annual CMA Awards airing live from Nashville on November 14 at 8/7c p.m. on ABC. FLORIDA GEORGIA LINE LIVE FROM LAS VEGAS, their five-nights-only residency inside Zappos Theater at Planet Hollywood Resort & Casino, takes over Sin City in December, with openers CANAAN SMITH and MASON RAMSEY getting the anything-goes party started each night. Guests can anticipate fresh tracks from FGL’s forthcoming album, including already-released “Colorado” and “Sittin’ Pretty,” plus their career-defining smashes. Additional details and ticket information is available here.